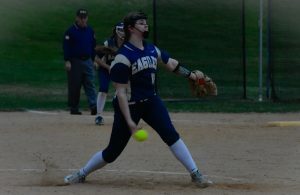 CLARENCE – Bald Eagle pitcher Madison Peterson looked unhittable for five of her six innings of work, striking out 18 Mifflin County batters Wednesday in the District 5 finale at Clarence. Peterson took a no-hitter into the final stanza but a late gutsy effort by the team from Mifflin County broke it up sporting two in the inning while plating two runs as well. 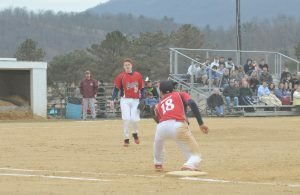 In the end, the offensive patience of the Eagles would prove to be the deciding factor, plating six of their eight runs by scoring on Mifflin County miscues from the mound, resulting in an 8-3 victory. However, the Mifflin County pitching combo of Kaitlyn Pennebaker and Taylor Ciccolini were also hitting their marks, combining on a 2-hitter as well and collecting 13. Ciccolini finished with eight while Pennebaker sent down five. Despite the loss, Mifflin County manager Jen Ruble was happy with the effort her team gave throughout the tournament, especially in the sixth inning of their game against BEA. 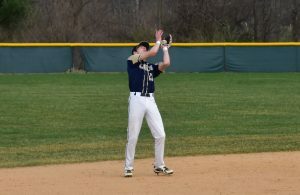 The Eagles led off the game plating the first four runs of the game. All came on wild pitches. Scoring in the first inning were lead off hitter Mara Hockenberry and Autumn Tobias. In the second, Bald Eagle got runs from Mary Soster and Lexi Skrepik. Mifflin County got on the board for the first time in the bottom of the third. Much like Bald Eagle, Mifflin County scored via the wild pitch after a walk. Leading off the third, Rylee Boyer forced Peterson to commit her first walk of the game. She then stole second and then third. After a wild pitch, Royer used her speed to make it home safely, cutting it to 4-1. Bald Eagle picked up its first hit and RBI of the game in the fourth inning. With two out, BEA got some two out lightning going when Skrepik walked then set the stage for Peterson. Peterson did not disappoint, smoking a single into centerfield scoring Skrepik who was running on the play. In the top of the fifth, Bald Eagle added yet another run, upping the score to 5-1. Things didn’t get much better in the sixth when the Eagles added on three more runs in their final at bats to give them a comfortable 8-1 advantage while Peterson was just three outs away from a no-no. 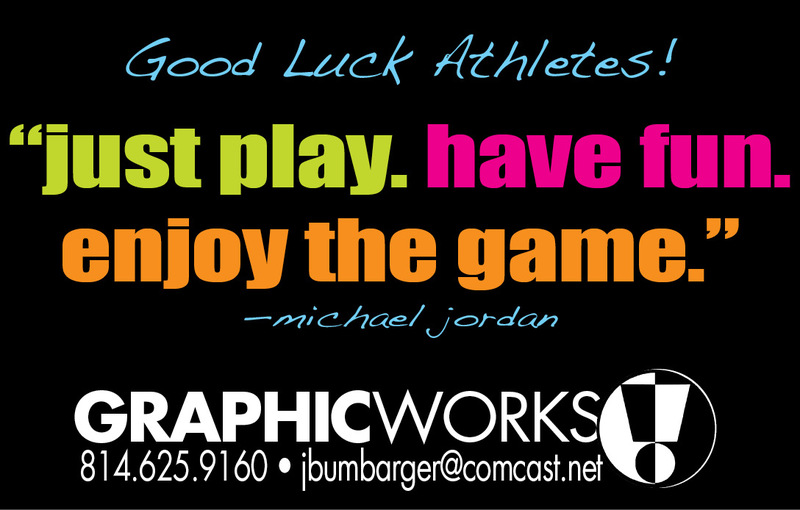 Mifflin County refused to be shutdown and no-hit. Souders got the inning going into the right direction picking off a lead off walk. Ciccolini laid down a slow roller and hustled it out, ending the no-hitter in the process. Both Souders and Ciccolini reached home on wild pitches, making it 8-3. The home team would get a single by Julie Diven but that would all that Mifflin County could muster.